By making every advertisement a resource of the consumer, we have gained immense glory in the market as a top outdoor advertising company in Ahmedabad and continuing to magnify by providing second to none servicing to every end user. Our experience enables us to comprehend the requirement of the market and accordingly introduce the effective way to advertise their brand, our kiosk advertising in Ahmedabad is the live example of thereof. The intention of introducing the Kiosks Advertising Company is a call for budget-friendly yet effective outdoor advertising way from the consumer end, which is basically a small size billboard installed by means of the pole on the roads, malls, parking slot, and other traffic areas that remain busiest 24/7 to reach walkers and vehicular traffic. 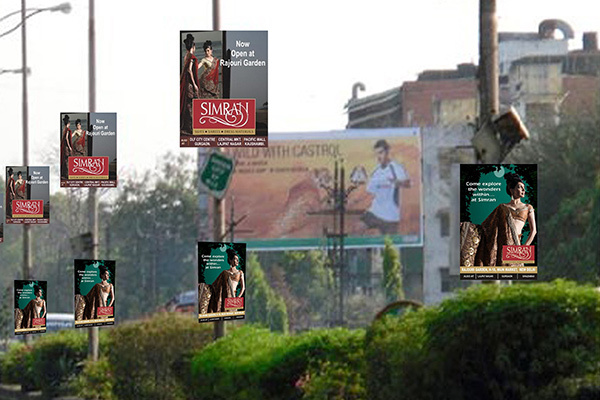 This is one of the low-cost outdoor advertising techniques to rove eyes of a large number of travelers passing through roads by keeping a brand in the forefront repetitively and is effective among consumers as it helps create that synaptic connection that imposing traveler to go for that specific brand. So if you are struggling with the budget constraint, avail our kiosk advertising in Ahmedabad that promises to be equally effective and impactful for your product, service or brand. We believe in delivering the best and hence we strive to analyze your relevant audience ahead of counseling best location in order to provide the utmost coverage and put forward every strategy teaming with best in class quality printings that can be a big win for your brand through kiosks advertising in Ahmedabad.